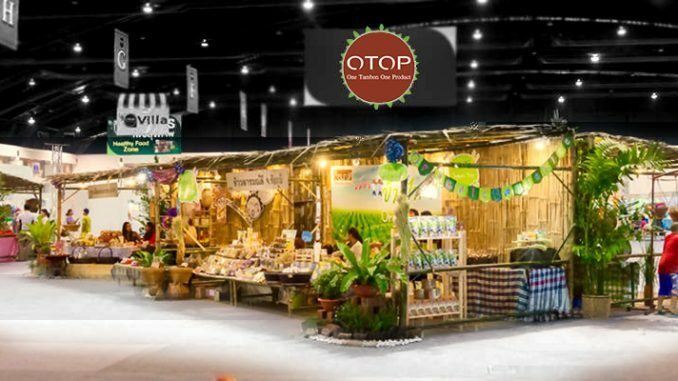 Thailand’s OTOP (One Tambon One Product) project was initiated in 2001 in line with the government’s policy for encouraging economic growth in local communities. Since farmers and other agriculturalists in rural areas basically rely on the support of municipality and central government (Rigg and Ritchie, 2002), the OTOP project was aimed to expand economic activities of rural people to earn extra incomes and consequently be less dependent on the government’s budget. The model was adapted from the OVOP (One Village One Product) movement in Oita, Japan (Fujimoto, 1992). Economically, the OTOP program can be called a success to a certain extent (Natsuda et al, 2012). According to the report of the Community Development Department (CDD) in Thailand, OTOP’s sales multiplied sharply between 2002 and 2008, by a factor of 4.6 (CDD, 2010). This economic growth happened largely in two main types of OTOP organisation: community-based enterprises (CBEs) and small-and-medium-sized enterprises (SMEs). Nonetheless, some scholars have pointed out that the practices of OTOP organisations are not maintainable as they are primarily projected to decrease provincial poverty nationwide and to contribute to the social development of local communities (Natsuda et al, 2012). One reason for this is the OTOP program had been designed as a top-down approach from the start. Moreover, after a new government supported by the military came to power in 2006, the OTOP program was diverted and even reduced to a tool for tutoring and funnelling financing support from the central government. OTOP organisations became even more dependent on the government’s authority (Bowornwathana, 2004). As a consequence, most OTOP projects were initiated as, or developed into conventional organisations embedded in networks of local authorities and provincial powers, such as local governors, heads of tambons (Thai sub-districts), heads of villages, and the like. There is some evidence that budgets from the central government are used mainly by these local power elites (Ockey, 2004). In contrast, many villagers are simply given tasks and are largely excluded from participation in decision-making and operational management. While conducting this research, interviewees offered evidence that working people in local communities, those that are supposed to gain direct benefits, have little input in OTOP organisations as members, and instead are a mere workforce. This situation is in contrast with the original ideas of OVOPs and OTOPs as organisations established with the unity of local villagers with a bottom-up approach, and thus, supposedly to strengthen and richly develop local communities. It is probably fair to say that Thailand’s OTOP program, despite its economic success, does not help much to achieve the long-term goals of community maintainability in terms of social welfare and equal income distribution. However, changing political circumstances in Thailand’s capital city as well as in rural areas have led to new phase which might influence OTOP and other rural organisations. Before the military coup d’état in 2006 which took place in Bangkok, rural agriculturalists had started to see benefits from OTOP projects through the government’s support following increased budgets and campaign programs. However, after the coup in 2006, rural villagers’ attitudes toward the political situation were ignited; many became politically awakened and sought more information and started to question rights and legitimacies. Consequently, since then new groups and political alliances have formed to fight for democracy – legitimated rights and equality, freedom of speech, and for many, a preferable form of government. A fragmentation of political standpoint has become apparent between rural and urban dwellers. For those participating in political activities, their political positions started to be identified by the colour of shirts that they wore (Phongpaichit and Baker, 2009) — such as the “Yellow Shirts” (the People’s Alliance for Democracy, or PAD), the “Multi-coloured Shirts” and the “Red Shirts” (Hewison, 2008; Kitirianglarp and Hewison, 2009; Nelson, 2010). The Yellow Shirts and Multi-coloured Shirts groups tend to believe that Thailand is not ready for democracy because most of the population is still educationally and economically poor (Glassman, 2010; Politics, 2012), they choose to follow the non-democratic path: appointing “good people” (aristocrats) to parliament and, in particular, as ministers and other members of the ruling elite (Cropley, 2008). There is not much evidence that any of these groups are interested in rural development or in alleviating problems of poverty. In contrast, members of the Red Shirts movement believe that Thailand can become a much more democratic country. This group’s members are numerous particularly in rural areas as well as among those who voted for the previous government (Palmer, 2010; Petty, 2010). They strongly oppose the military junta and demand national elections (Palmer, 2010). Although the largest, it is also the most controversial alliance; in their political protest, thousands of people have been injured or lost. During the crackdown in May 2010, approximately a hundred pro-democracy activists was killed, hundreds of people were charged and are still being held without permission for bail. In response to the judicial misconduct and the inestimable loss of lives and properties, the alliance of pro-democracy villages was formed in December 2010. Apart from supplying the pro-democracy village signage, in order to elevate democratic society in a long term, the alliance encourages the idea of an equitable democracy and a self-reliant community. These two ideas, and related activities, are concerned with local democratic movements, for example via democratic community invigoration, anti-drugs campaigns, and schemes for self-reliant rural development by revitalising local community cooperatives. Such newly found cooperatives might become involved with OTOP products and, thus, could strengthen the practice of democratic participation within existing OTOP organisations – or even replace them. Hence, this research investigates how the idea of political participation, as put forward by the Alliance of pro-democracy villages in Thailand, might transform into economic participation within business organisations such as cooperatives and OTOPs. Although this study refers to a concept of political participation in the following section, it has no intention to focus on the political arguments but on the economic participation in the form of cooperatives that could help agriculturalists better profit. A section where we shed more light on current issues and latest developments in Thailand related to OTOPs follows this. 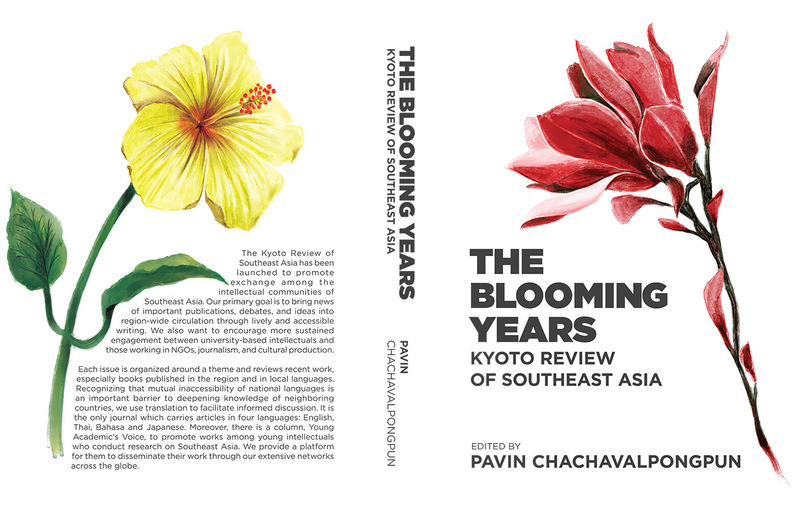 In a larger section we then present and analyse empirical evidence with regard to the rising of the peasants in Thai pro-democracy villages, in particular the emergence of the pro-democracy village, the struggle for edible democracy, and how such trends may revitalise OTOPs and cooperatives in pro-democracy villages. Based on the empirical findings a four-phase model is developed which describes cooperative local socio-economic development, followed by some conclusions. Bangkok, Saturday, March 20, 2010. 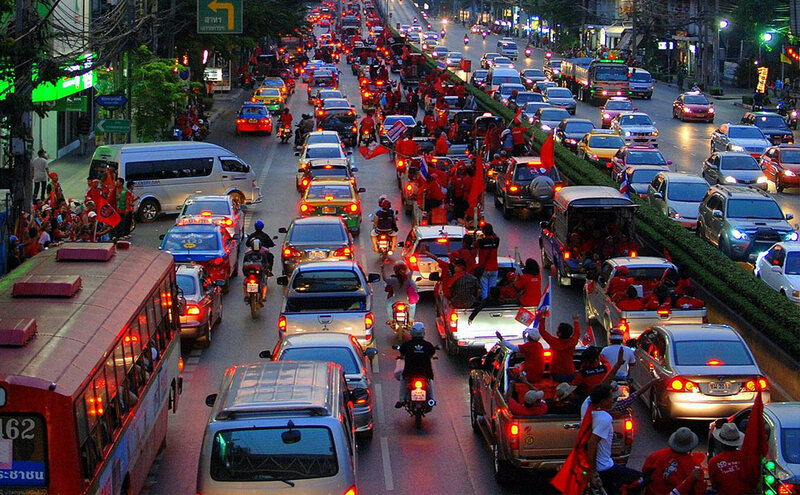 The day of a red shirt march through the city. In democratic systems, citizens expect that governments voted in by a majority shall perform according to the policies they proclaimed during their campaigning. This simple relationship between voter and politician regarding expected benefits is commonly acknowledged (Park, 2008). However, this sample is only one sort of phenomenon in citizens’ political participation. People persistently engage with political issues on a daily basis, whether consciously or unconsciously. Political participation in fact infiltrates citizens’ mindsets, speech, and actions, manifesting in both public and private spaces. Hence, it is important to understand the fundamentals of political participation theory in order to use it as the basis for analysing the findings of this study. Political participation has been defined as “the legal acts by private citizens that are more or less directly aimed at influencing the selection of governmental personnel and/or the actions they take” (Verba, 1978: 1). 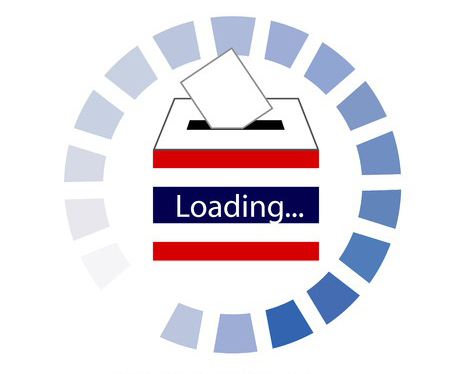 There are seven key types of participation: voting, campaigning, involvement in civic groups, involvement in issue-oriented groups and/or interest groups, direct attempts at influencing policy, attending town meetings (or the like), and protests (Kida, 2012). However, citizens’ participation is also affected by many incentives and disincentives (Salisbury, 1975); for example, civil education, the stability of the political party, a variety of campaigning types, social hierarchy, and the culture of abiding by the authority of superiors without question due to their seniority (Klesner, 2007). Furthermore, the level of participation in political concerns also varies in relation to socio-economic status (SES) in the local community; this relates to resources, whether financial, educational, or the community’s skilfulness (Lowndes et al, 2006). 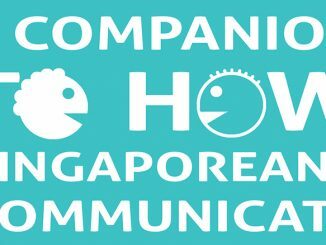 In addition, the community’s political participation encompasses the flow of communication (Kelshaw, 2006). The context of communication reflects villages’ interests, structures, and relationships, which also have an impact on the decision-making process for any affairs that concern the village. Means of political participation have been expanded from religious institutions (Putnam, 2000) to modern information and communication technologies. The internet, blogs and websites can be used as an information source, as a communication intermediary, or as a virtual public platform (Polat, 2005). Essentially, political participation involves the individual’s social roles and networks. The related social capital is also the result of the individual’s political knowledge and intelligence, which can be obtained on the regular basis of daily communication among individuals within the community or social network (La Due Lake and Huckfeldt, 1998). Consequently, participation both in political issues and rural development is the primary measurement in the success of any schemes (Burkey, 1996). Rural people become increasingly aware and use both traditional media and social media to reach their news and information. Since 2006, provincial villagers have awakened in Thailand as a result of the political instability and uneven conduct of the government. People use different channels of media to consume updates regarding (for example) social, economic, and legal developments; the roll-out of government policies; and also some international news. They have become more interested in being involved in the country’s political and economic affairs in the hope that this will ultimately lead to a better state of affairs. an economic organisation whose residual claims are restricted to the agent group that supplies patronage under the organisation’s nexus of contracts (i.e., the member-patrons) and whose board of directors is elected by this same group. A cooperative organisation has the key characteristics of voluntary association, self-government, far reaching participation in decision-making processes, equal sharing of earnings, and highly involved member (Chetkov-Yanoov, 1986; Helmberger and Hoos, 1962). Derived from the original concept in neoclassical economic theory, cooperative organisations are motivated by different ideas of success than are businesses. The spirit of cooperation does play an important part in organised effort. That spirit is dependent upon such things as the understanding of the members of the organisation’s program, their confidence in the association and its management, their contact with the management, and the amount and kind of information given them. The spirit of cooperation is a factor in the operation of the association rather than in its organisation. Cooperatives are dependent upon membership loyalty. Consequently, cooperative organisations not only operate based on mutual motivation in supporting each other but also involve fidelity and trust. In India and Sri Lanka, grassroots movements have successfully linked religious belief with the empowerment to generate spiritual drive to uplift the wealth of the community (Wilson, 1996). Furthermore, many cooperatives use the community’s public spaces (such as schools, municipal offices, and religious places) to gather for regular meetings in order to make decisions on policies and elect staff (Knapp, revised by Nourse, 1944). These kinds of meeting places can be associated by participants with a unified, open, and sharing atmosphere, since they are publicly known as places that mutually belong to all community members. In 1915, during the era of absolute monarchy, the first cooperative organisation in Thailand was founded. Its idea of sharing the common tools and resources for agricultural production is the key to supporting the survival of the community as a whole (CODI, 2000). Over almost a hundred years, the spread of agricultural cooperative association has been prevented and discouraged by the top-down approach and by a complicated process of setting-up and registration. Under monitoring from the Ministry of Agriculture and Cooperatives, the Cooperative Promotion Department (CPD) presently provides bureaucratic procedures and advice regarding organising any cooperative in the country. According to the Thai ministerial regulations in 2005, there are seven types of cooperative that can be registered as enterprising entities: agricultural co-op, fishing co-op, land co-op, saving co-op, credit union co-op, store co-op, and service co-op (CPD, 2012). Presently, Thai co-ops comprise 10.8 million members from 7,964 cooperatives, generating two trillion baht, or 18.95% of GDP (PRD, 2012). Nevertheless, there are not many Thai people, especially in the agricultural sector, who truly understand the cooperative concept or its structure and benefits in the rural development framework because there was no evidence of knowledge transfer from academic institutions or governmental performance advocating the implementation of cooperative in those areas. Most elites and middle class yellow shirts claimed that rural people are unintelligent and deceived by capitalists. Instead, the core problem derived from the fundamental culture of Thai people where they mostly depend on the patronage system. The higher authority takes care of the lower ranked people, who are the majority of the country’s population, such as agriculturalists, merchants, and regular employees. The rice program exemplifies Thailand’s central government’s attempts to reach rural people economically as well as politically and socially. Thailand’s OTOP (One Tambon One Product) program can be understood in this sense. The Thai version of the Japanese OVOP (One Village One Product) policy was established to support provincial development under Prime Minister Thaksin Shinawatra in 2000 (Albritton and Bureekul, 2008; Boonyarattanasoontorn, 2006; Kurokawa, 2010). Its main areas are community-level self-reliance, creating employment and supporting additional income opportunities by making products and services, helping to keep and encourage local knowledge, enhancing the tourism industry, and strengthening more sustainable rural development for a better quality of life throughout the country (Routray, 2007). However, in practice the anticipated results of the Thai OTOP program are more pertinent to rural economic development as monitored by economic indicators (such as higher income per household or OTOP’s product sale), rather than social and environmental influence (Kaewmanotham, 2008; Lortanavanit, 2009). Although numerous OTOP organisations have been registered, there are not as many groups that have really benefitted from the OTOP policy and become successful communities (Kumponkanjana, 2010). After the military junta rose against Thaksin in 2006, OTOP schemes were still ongoing, though less active than in the previous period (Kurokawa, 2011). OTOP organisations appeared more on the promotional surface at the provincial, regional, and national levels; for example, provincial councillors, OTOP websites, and a few related and designated government departments, such as the CDD and the Department of Export Promotion (Ninnart, 2004). Many studies from both Thai and Japanese researchers have pointed out that the success of OTOP groups and organisations should be measured in terms of strong leadership, trustworthiness, proper government support (not solely finance funding) via knowledge training and marketing channels, and local initiation or the bottom-up approach (Kumponkanjana, 2010; Livkunupakan, 2007; Sura, 2008). All in all, one might say that the efficiency of the OTOP scheme is questionable with regard to economic indicators and disappointing with regard to social indicators. True, it did deliver some additional income to the main agricultural earning to the rural citizens. But it failed as an attempt to contribute to social developments of the countryside, to generate socio-economic well-being of rural people, and to link political, economic and social participation – which perhaps was never really intended, anyway. But this might change in future – as will be shown in the next section. For this research, a case-study approach (Yin, 1994) and qualitative research methods (Saunders et al, 2007) were chosen, especially semi-structured in-depth interviews and participatory observation. Altogether, during August and September 2012, 15 interview sessions were held with local leaders, participating villagers, and former members of OTOP organisations in the pro-democracy villages in three regions of Thailand: provinces in the north (Chiang Mai and Phrae), in the south (Songkhla), and in the northeast/Isaan region (Udon Thani and Sakon Nakhon). The results of interviews sessions are divided into (1) Striving for edible democracy, (2) the revitalising cooperative in pro-democracy villages, and (3) consequences for OTOPs and cooperative organisations. Thai people just need to have a better life. If you go out and ask the villagers, they will say they are full of debt and have insufficient income to cover their living expenses. They don’t know what cooperative is or the benefit of it. 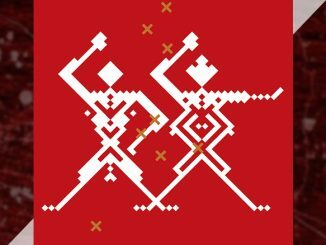 Moreover, Thai people have the old culture called “autocratic culture” – a framework that causes limitation of thinking, creates fear of showing diversity among groups, and prohibits the action of rising up the hierarchical social classes. 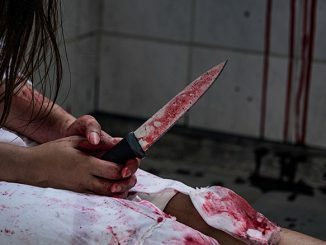 Hence, Thai people are taught to heavily memorise through an autocratic education system – no questioning of the higher authorities, such as parents, teachers, seniors, and so on. They shall merely follow orders and hardly think differently. It is an old rule. The villagers consider the source and analyse all the data systematically, like executing the research. The most important in advancement is that they are exchanging ideas by talking or social networking on the internet, then generating ideas by themselves. Our OTOP products are the artificial flowers made of polyester ribbon used for the village decoration, not agricultural products. These kinds of flowers will be used for decoration at the village festivals annually, but are hardly sellable regularly. In general, our community’s OTOP organisation is run by the local women’s group. Other villagers can join as workers; however, the wage for each worker after cost deduction is only 30 baht, so it’s not worth the time. They feel that this organisation is not transparent, creating problems in profit distribution among members. Now we have only 20 people left in this OTOP group. After the crackdown in Bangkok in May 2010, people in this village have faced financial difficulties and some were injured or even lost family members. However, they have learned many lessons, especially in terms of self-reliance. They started engaging in networking and gathering people to gradually build up a stronger community. The alliance of pro-democracy villagers intends to start setting up from small numbers of each key region, such as North and North-eastern, to be as prototypes, and then expand step by step from voluntarily local initiation in other provinces all over the country. Cooperative can solve corruption problem by monitoring and networking among small cooperative in different areas. We have prepared the plan for setting up cooperative in our pro-democracy villages into four phases of movements. His confident assertion during the interview shows his eagerness to contribute to rural development. Without academic references, he convincingly explained that the alliance attempted to apply a four-step approach towards cooperative development, as the following Table 1 shows. Despite no confirmed evidence, authors found later that the concept was somewhat similar to Galor’s (1986: 10) ‘general model of cooperative development by stages’ which had been employed successfully in Israel for developing multi-purpose cooperatives in rural areas. 1 Cooperative Community Store Theme: Selling & Buying at competitive prices. Expected result: easily access to local financial fund for personal loan for housing, educating, etc. Expected result: Marketing intermediary for local people and circulating finance of 10–20 million baht per annum for community’s mutual benefits; roads, dams, and infrastructure. 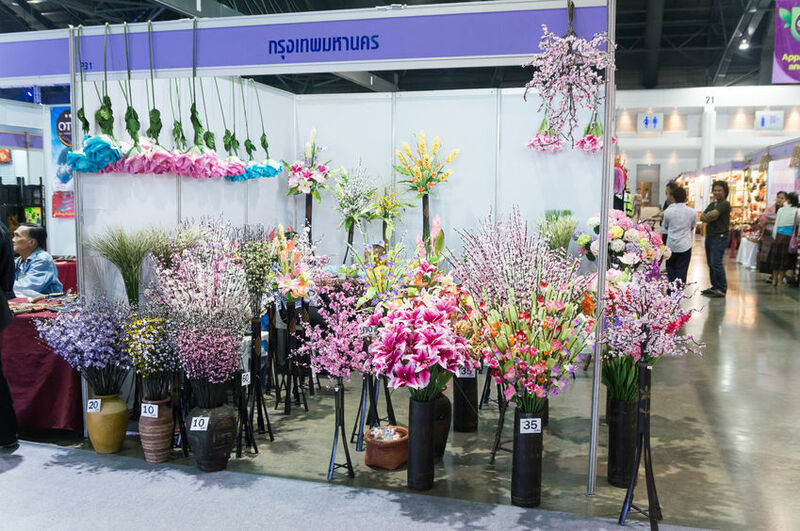 OTOP flowers on display at a Bangkok exhibition feature OTOP products in October 2013. The idea of a community-based cooperative, as outlined above, represents a more integrated and progressive approach towards linking political and economic participation within a certain type of organisation. In this sense, pro-democracy villages’ cooperative organisations represent a promising opportunity for achieving local economic and social development. The promotion of cooperatives was approved as part of the national agenda by the Thai cabinet on July 30, 2012, in accordance with the proposal of the Ministry of Agriculture and Cooperatives (PRD, 2012). The project is assigned to be supervised and mobilised into practice by the CPD across Thailand. The pro-democracy villages plan to open a prototype batch of ten cooperative stores in six provinces with widespread strongly unified communities: Bueng Kal, Chiang Rai, Phrae, Pitsanulok, Sakon Nakhon, and Udonthani. These primary stores are as a pilot study to find strengths and weaknesses through the problems and solutions that may occur during the opening and operating process. The lessons will be used to adjust the strategy before a full national roll-out. In contrast, though orthodox OTOP organisations in Thailand mostly represent community-based enterprises (CBEs), they rarely include most of their members, let alone villagers in decision-making processes. From our interviews with former members of OTOP organisations, we have found that most members of local communities are not satisfied with OTOP activities and their results from the last 10 years. The existing OTOP organisations involve only small groups of villagers and have not been able to gather interest from all villagers. Since the villagers now have a better understanding of political consciousness and are inspired by it, they have become more actively interested in the newly founded cooperatives association of pro-democracy villages. They believe that this can not only strengthen the existing OTOP organisations in terms of distribution channels but also increase the productivity and quality of OTOP products in the future. Community-based organisations such as reinvigorated OTOPs or cooperatives provide great opportunities to improve villagers’ well-being and standards of living. Consequently, there are several possibilities for making OTOP groups more efficient and successful: the mutual agreement of local people in the community, the opportunity to participate in decision-making process on management and operation, the trustworthiness of leaders and villagers, and transparent network monitoring and communication. The implementation of the cooperative scheme in the pro-democracy villages reveals that significant characteristics of the rural community are being altered toward democratic organisation. With the support of technology, villagers discover new sources of knowledge, evidence, and alliance. This phenomenon may be small at glance, but if it continues to expand, sooner or later the impact will become bigger and more powerful than ever before. The findings from both the empirical data and research interviews are twofold. First, they verify that political consciousness is the key motive in active participation in decision-making processes concerning community development (such as opening community cooperative stores and market services). Second, they show that political issues can drive people to initiate and create democratic organisations in their communities. This embryonic scheme of cooperative organisation could potentially enhance and fill in the gaps in the OTOP model adopted from successful origins in Japan. In addition, the anticipated success of people participating in setting up cooperative organisations could provide a practical model for democratic organisation, mobilising people to engage in civil rights and strengthen their communities’ economic and social well-being on their own. The limitations of this study are that the case study only concerns pro-democracy villagers within a specific Thai context. In different political or socio-cultural settings (e.g. 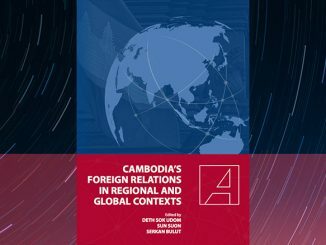 other Asian, Western, and South-American or African countries), the relationships and dynamics between local political movements, economic and social participation and development might differ. Though there are some limitations and recommendations for potential future studies, this study reveals that Thai rural villagers are actually highly engaged in activism and also understand the politics of citizens’ roles in democratic societies. The revitalised cooperative scheme of pro-democracy villages is quite a good example of inspiring both civil and political consciousness and, in doing so, strengthening community development in economical as well as social terms. Albritton, R. B. and Bureekul, T. (2008). ‘Consolidating Democracy in Thailand: The First Four Years of Democracy under the Constitution of 1997‘, Asian Journal of Political Science, 16 (1): 41-63. Bampo, M., Ewing, M. T., Mather, D. R., Stewart, D. and Wallace, M. (2008). ‘The Effect of the Social Structure of Digital Networks on Viral Marketing Performance‘, Information System Research, 19 (3): 273-290. Boonyarattanasoontorn, J. (2006). ‘Do poverty alleviation policies contribute to the welfare of poor people in rural communities?, A case Study of six villages in Chiang Rai Province‘, Thammasat Review, 11 (1): 87-114. Bowornwathana, B. (2004). ‘Thaksin’s model of government reform: Prime Ministerialisation through “a country is my company” approach‘, Asian Journal of Political Science, 12 (1): 135-153. Burkey, S. (1996). People First: A Guide to Self-Reliant Participatory Rural Development, London: Zed Books Ltd.
CDD. (2010). One Tambon One Product (OTOP): the strengthening of Thailand’s grassroots economy of the Royal Thai government, Bangkok: Community Development Department (CDD), Ministry of Interior. Chetkov-Yanoov, B. (1986). ‘Participation as a means to community cooperation’, in Y. Levi and H. Litwin (ed. ), Community and Cooperatives in Participatory Development , Hants: Gower Publishing Company Limited, pp.21-49. CODI. (2000). ‘From Co-ops to CODI: a glimse of Thailand’s hidden legacy‘, CODI: Baan Mankong Collective Housing, Available at: http://www.codi.or.th/housing/CooperativeThai.html. Connors, M. K. (2003). Democracy and national identity in Thailand, New York and London: RoutledgeCurzon. CPD. (2012). ‘Type of Cooperatives‘, The Cooperatives Promotion Department: Registra and Law Office Registrar and Law office, Availabe at: http://webhost.cpd.go.th/rlo/group.html. Cropley, Ed. (2008). ‘Factbox: Thailand’s PAD, who are they?‘, Reuters, Available at: http://www.reuters.com/article/2008/11/25/us-thailand-protest-pad-factbox-idUSTRE4AO6MO20081125. Dunn, J. R. (1988). ‘Basic Cooperative Principles and Their Relationship to Selected Practices’, Journal of Agricultural Cooperation, 83-93. Fujimoto, I. (1992). ’Lessons from abroad in Rural Commnity Revitalization: The One Village, One Product Movement in Japan’, Community Development Journal, 27 (1): 10-20. Glassman, J. (2010). “The Provinces elect governments, Bangkok overthrows them”: Urbanity, Class and Post-democracy in Thailand. Urban Studies , 47 (6), 1301-1323. Helmberger, P. and Hoos, S. (1962). ’Cooperative Enterprise and Organisation Theory’, Journal of Farm Economics, 44 (2): 275-290. Hewison, K. (2008). 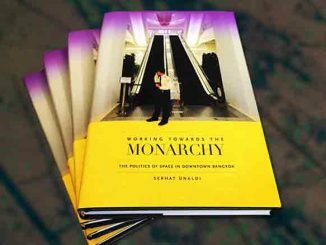 A Book, the King and the 2006 Coup. Journal of Contemporary Asia , 38 (1), 190-211. Hewison, K. (1997). Political Change in Thailand: Democracy and Participation, London and New York: Routledge. Jesness, O. (1925). ’The plans and organisation of cooperatives’, Journal of Farm Economics, 7 (3): 359-368. Kaewmanotham, M. (2008). ’OTOP project and sustainable development in Thailand: case study of Baan Tawai in Chiangmai’ (Japanese Language), The Faculty of International Studies, Utsunomiya University, International study, 26, 63-71. Kelshaw, T. (2006). ’Communication as Political Participation’, in Shepherd, G. J., John, J. St. and Striphas, T. (ed), Communication As…Perspectives on Theory , Thousand Oaks: Sage Publications, Inc., pp.155-163. Kida, D. D. (2014). Japanese political participation: an Oita case study, Doctorate Dissertation, Beppu: Ritumeikan Asia Pacific University. Kitirianglarp, K., & Hewison, K. (2009). 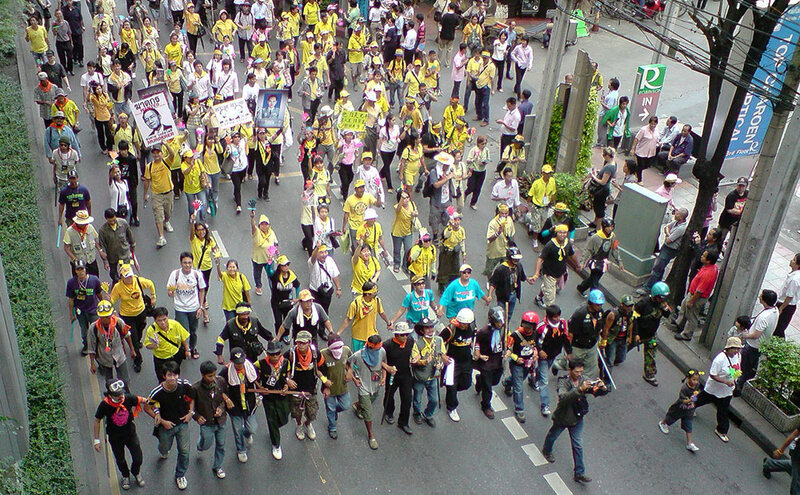 Social movements and political opposition in contemporary Thailand. The Pacific Review , 22 (4), 451-477. Klesner, J. L. (2007). ’Social Capital and Political Participation in Latin America: Evidence from Argentina, Chile, Mexico, and Peru’, Latin American Research Review, 42 (2): 1-32. Knapp, J. G., revised by Nourse, E. G. (1944). ’Why Co-ops? What are they? How do they work?’, American Historical Association: The G.I.Roundtable series, Available at: http://www.historians.org/projects/GIRoundtable/Coops/Coops_TOC.htm. Kurokawa, K. (2011). ’A provincial comparative study on One Village One Product (OTOP) movement in Northeaast Thailand – Implications for Japanese OVOP cooperation toward Africa’, Studies in Regional Science, 41 (3): 585-597. Kurokawa, K. (2010). ’Effective Local Government Internventions via One Tambon One Product movement in Thailand – Implications from the OTOP in Sakon Nakhon province’, The Agricultural Economics Society of Japan Conference, Kyoto: JICA Research Institute. La Due Lake, R. and Huckfeldt, R. (1998). ’Social Capital, Social Networks, and Political Participation’, Political Psychology, 19 (3): 567-584. Lim, Y. H. (2012). ’1 Billion Facebook Users On Earth: Are we there yet?’, Forbes.com, Available at: http://www.forbes.com/sites/limyunghui/2012/09/30/1-billion-facebook-users-on-earth-are-we-there-yet. Livkunupakan, N. (2007). ‘One Tambon One Product Empirical Evidence and Market Orientation from Five Southern Border Provinces of Thailand‘, RU.International Journal, 1 (1): 193-201. Lortanavanit, D. (2009). ‘Decentralization, empowerment and tourism development: Pai town in Mae Hong Son, Thailand‘, Southeast Asian Studies, 47 (2): 150-179. Lowndes, V., Pratchett, L. and Stoker, G. (2006). ‘Local Political Participation: The Impact of Rules-In-Use‘, Public administration, 84 (3): 539-561. Natsuda, K., Igusa, K., Wiboonpongse, A. and Thoburn, J. (2012). ‘One Village One Product – rural development strategy in Asia: the case of OTOP in Thailand‘, Canadian Journal of Development Studies/Revue canadienne d’études du développement, 369-385. Nelson, M. H. (2010). ‘Thailand’s People’s Alliance for Democracy: From ‘New Politics’ to a ‘Real’ Political Party?’, in M. Askew (ed. ), Legitimacy Crisis in Thailand , Chiang Mai: Silkworm Books, pp.119-159. Ninnart. (2004). ‘One Tambon One Product (OTOP): A Showcase for Thai Folk Crafts‘, Thaiways Magazine, Available at: http://www.thaiwaysmagazine.com/thai_article/2014_one_tambon_one_product/one_tambon_one_product.html. Ockey, J. (2004). Making Democray: Leadership, Class, Gender, and Political Participation in Thailand, Honolulu: University of Hawai`i Press. Ockey, J. (2000). ‘The Rise of Local Power in Thailand Provincial Crime, Elections and the Bureaucracy’, in T. M. Ruth (ed. ), Money and Power in Provincial Thailand , Copenhagen: Nordic Institute of Asian Studies (NIAS) Publishing, pp.74-96. Palmer, B. (2010). 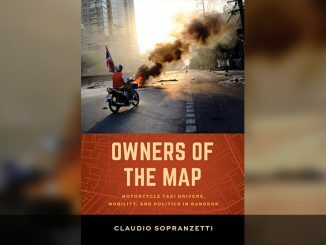 ‘What Do Thailand’s Protesters Want?’, Available at: http://www.slate.com/id/2254396. Park, C. H. (2008). ‘A Comparative Institutional Analysis of Korean and Japanese Clientelism’, Asian Journal of Political Science, 16 (2): 111-129. Phongpaichit, P. and Baker, C. (2002). 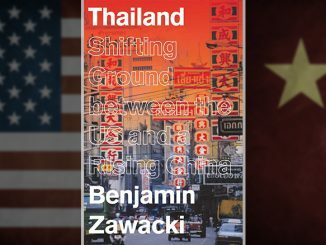 Thailand Economy and Politics, New York: Oxford University Press. Polat, R. K. (2005). ‘The Internet and Political Participation: Exploring the Explanatory Links’, European Journal of Communication, 20 (4): 435-459. Politics. (2012). 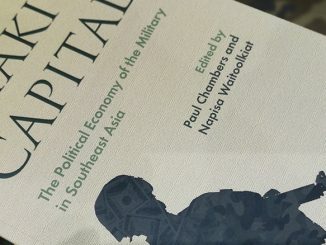 ‘Sumet reveals King will lead the people troop overcome poverty’ (Thai language), Available at: http://www.naewna.com/politic/31906. PRD. (2012). ‘Promotion of cooperatives included in Thailand’s national agenda’, The Government Public Relations Department: Office of the Prime Minister, Foreign Office, Inside Thailand, Avalable at: http://thailand.prd.go.th/view_news.php?id=6401&a=2#. Putnam, R. D. (2000). Bowling Alone: The Collapse and Revival of American Communit, New York: Simon and Schuster. Rigg, J., and Ritchie, M. (2002). Production, consumption and imagination in rural Thailand. Journal of Rural Studies , 18 (4), 359-371. Routray, J. K. (2007). ‘One Village One Product: Strategy for Sustainable Rural Development in Thailand’, Cab Calling, 30-34. Saennan, A. (2012). Handbook of pro-democracy villages for democracy establishment (Thai language), Udon Thani: Pro-democracy villages Alliance for democracy Thailand. Salisbury, R. H. (1975). ‘The Workshop: Research on Political Participation’, American Journal of Political Science, 19 (2): 323-341. Saunders, M., Thornhill, A. and Lweis, P. (2007). Research methods for business students, 4e., Essex: Pearson education limited. Sura, K. (2008). ‘Factors Influencing the Success of One Tambon One Product Mullberry Paper Enterprises in Chiang Mai Provinces’, RU.International Journal, 2 (1): 61-70. Verba, S. (1978). Participation and political equality – a seven nation comparison, Chicago: University of Chicago. Vitaliano, P. (1983). ‘Cooperative Enterprise: An Alternative Conceptual Basis for Analyzing a Complex Institution’, American Journal of Agricultural Economics, 65 (5): 1078-1083. Wilson, P. A. (1996). ‘Empowerment: Community Economic Development from the Inside Out’, Urban Studies, 617-630.Yin, R. K. (1994). Case study research: Design and methods, 2 e., Thousand Oaks, CA: Sage Publishing.